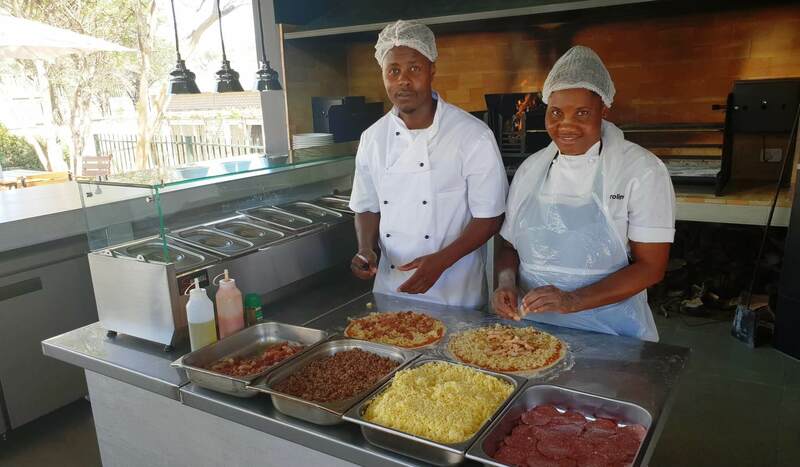 The Arebbusch Travel Lodge Pizzeria is the latest addition to our restaurant offering, providing patrons with classic Italian pizzas right on site. 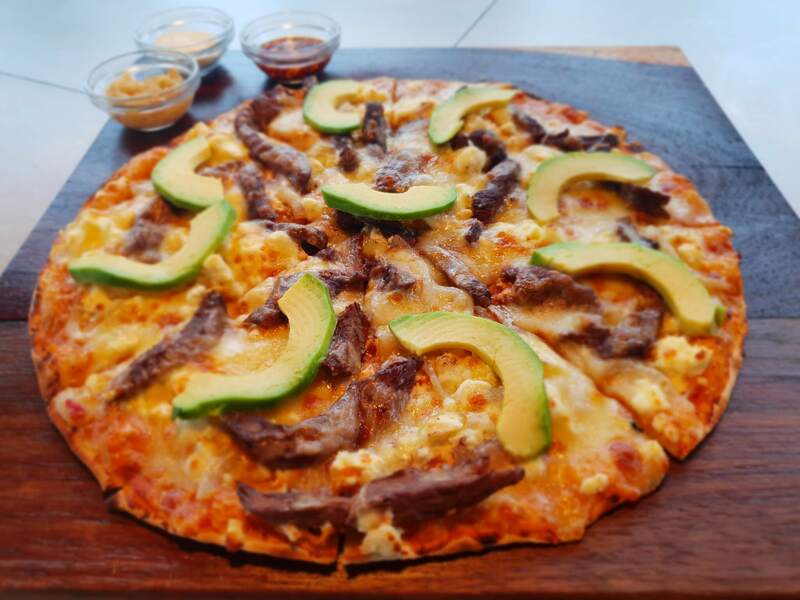 Our Pizzeria has been in operation since October 2018 and is already on its way to becoming one of the most popular dining options for both guests and Windhoek locals. Be sure to book your spot to avoid missing out. The Arebbusch Pizzeria falls under the auspices of the Arebbusch Travel Lodge Restaurant on our Golf Street, Olympia, property. It is located right alongside the original restaurant close to the children’s play area. 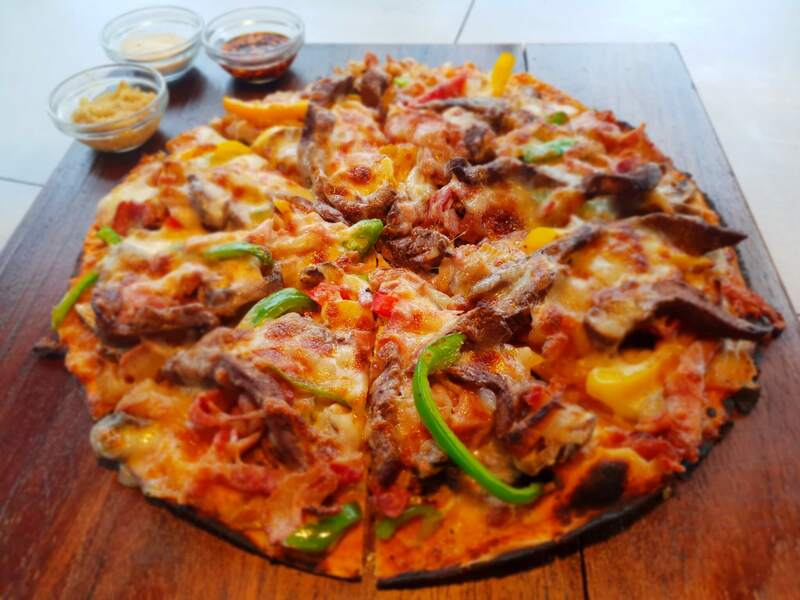 All our pizzas are created from hand-made bases from top quality stone-milled flour and are topped with a range of delicious meats and vegetables. Our ingredients are sourced locally to ensure optimum freshness and quality. 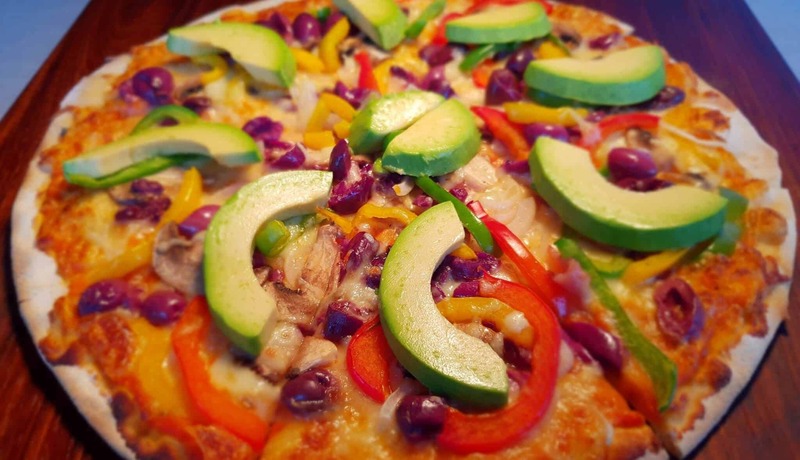 Every pizza is prepared from scratch and then baked in a traditional wood-fired oven, and we can almost guarantee to satisfy any craving with our carefully researched and most popular toppings! 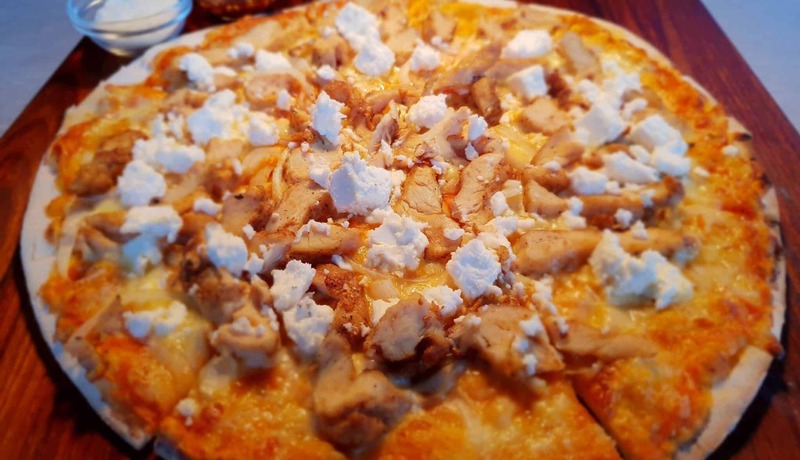 Our pizzas are fresh, crusty and piled with perfectly melted mozzarella cheese – just the way you like them. 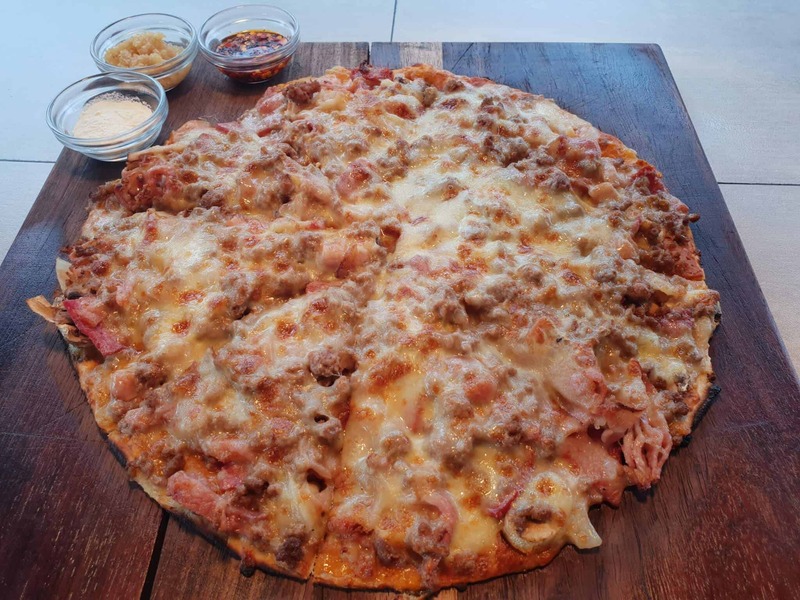 You’ll find many of your favorite Italian pizza indulgences on the menu, from simple and delicious pita bread to the Arebbusch Meaty option which caters for our meat-loving pizza aficionados. Our grill menu features only the best cuts of locally-sourced beef, lamb and venison. We are proud to offer rib-eye, t-bones, rump and fillet steaks as well as sirloin of venison and succulent lamb chops. 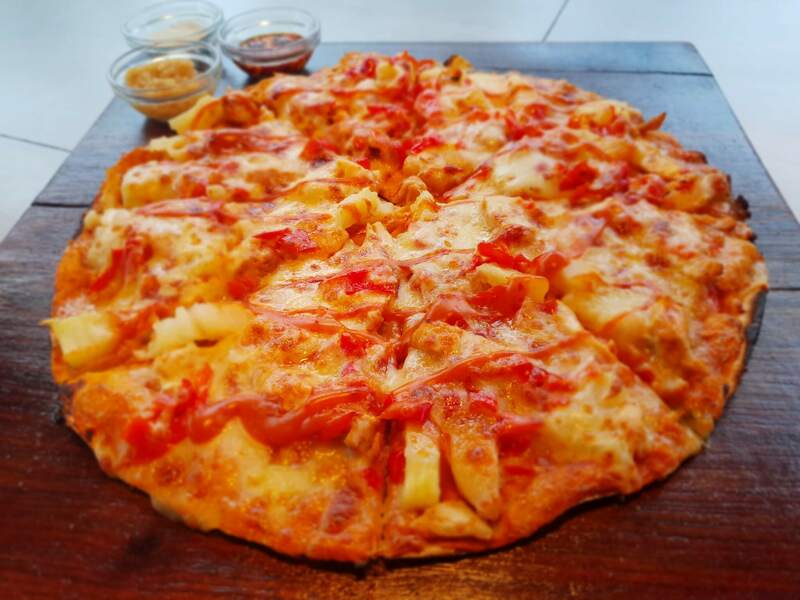 To accompany your pizza or main course, you can order all the usual sides from the main restaurant. These include alcoholic and non-alcoholic drinks, crisp salads and chips. If you hanker for a sweet ending to your meal, take your pick and make your choice from the range of delectable desserts offered at the Arebbusch Travel Lodge Restaurant. Likewise, guests can also make use of the recently expanded Arebbusch Travel Lodge main restaurant dining area to enjoy their meal. This seating area can now accommodate our regular flood of peak season guests as well as large groups and conference bookings. 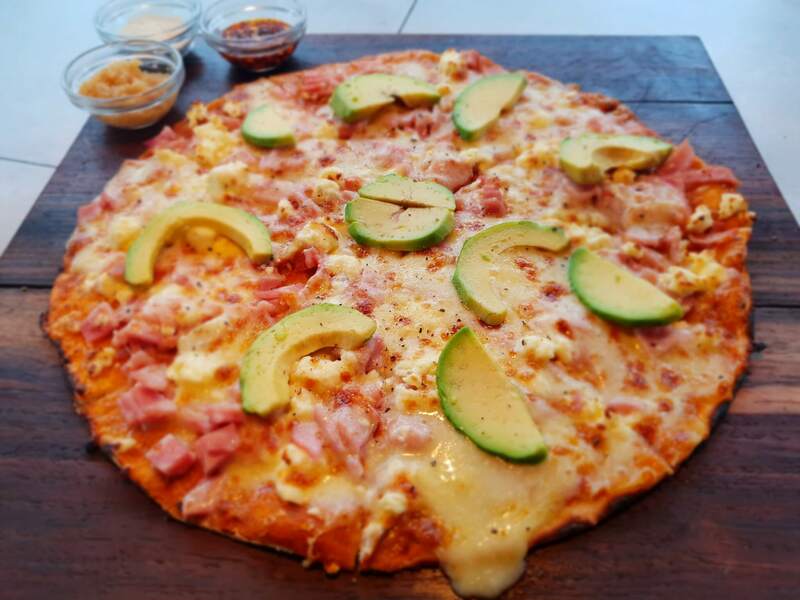 At present, the Pizzeria is open from 12 pm to 10 pm on Fridays and Saturdays as well as 3 pm to 10 pm on weekdays, including most public holidays. 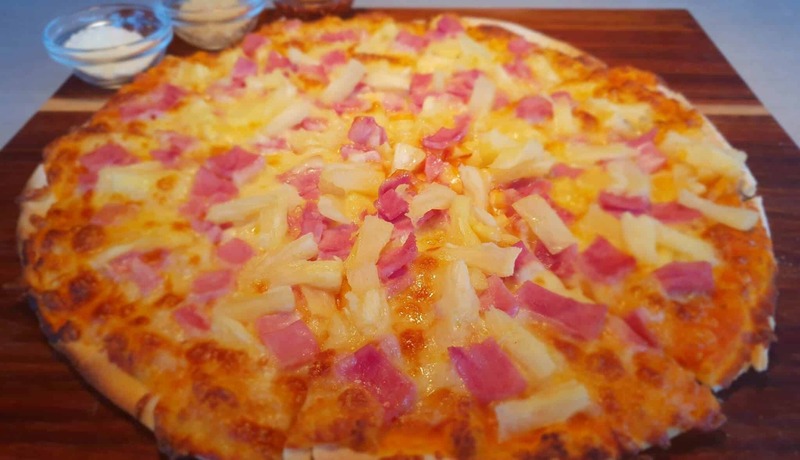 Although most guests prefer dining in the upmarket, cosy environment of the restaurant, the Pizzeria now offers a takeaway and delivery option too. 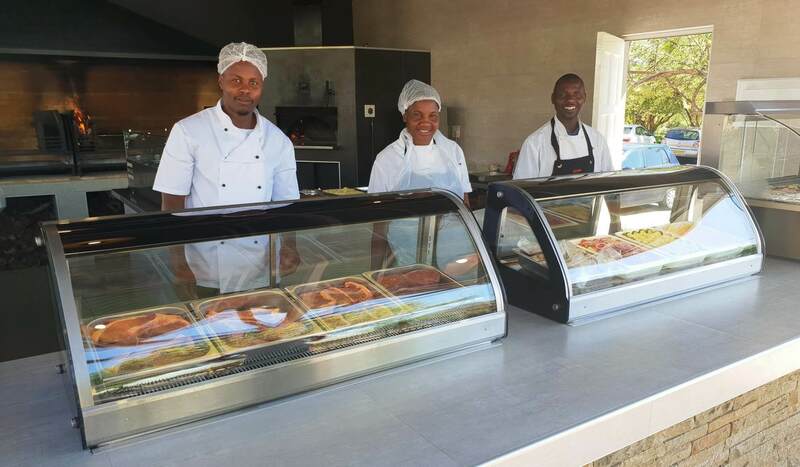 With this facility, you have the convenience of ordering certain menu items online during the restaurant’s hours of operation and then collecting them at your leisure or having them delivered to your door in certain areas of Windhoek. 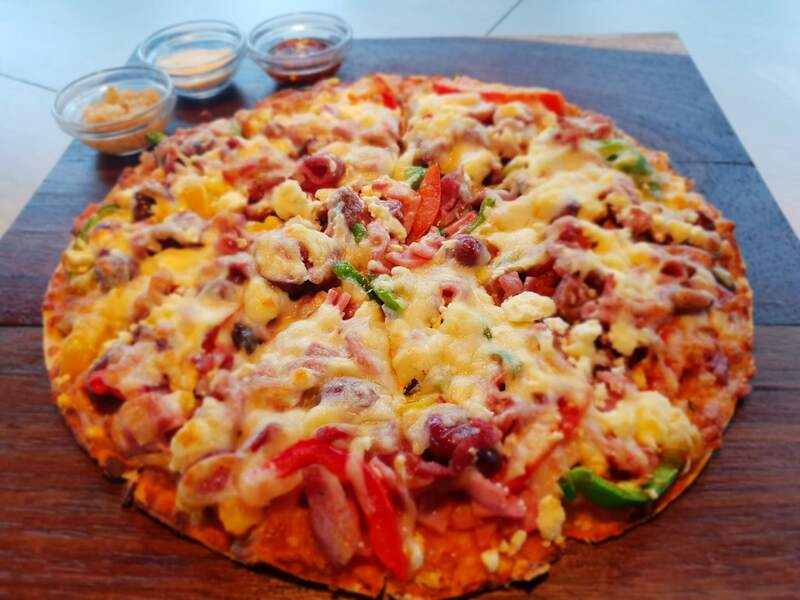 The Arebbusch Travel Lodge Pizzeria falls under the wing of the Arebbusch Travel Lodge Restaurant and therefore all the Arebbusch Restaurant terms and conditions, as well as policies apply. 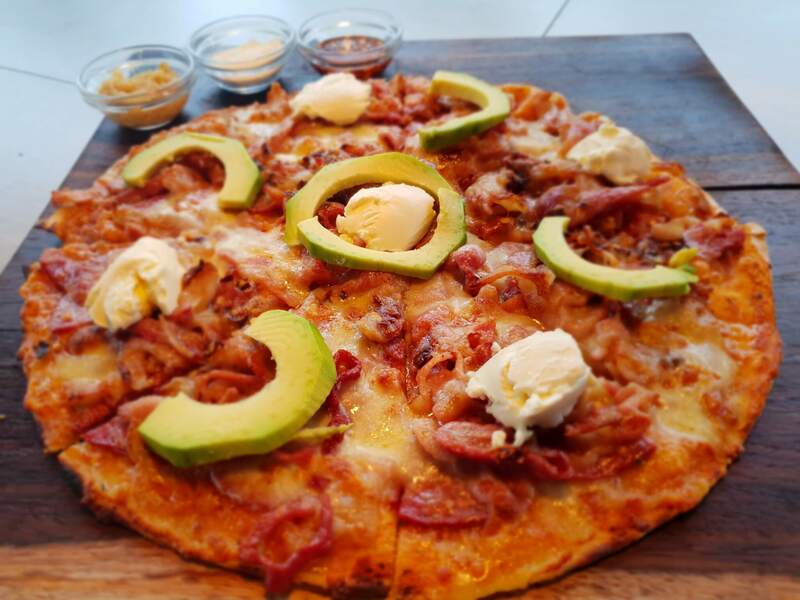 All bookings for the pizzeria go via the Arebbusch Travel Lodge Restaurant ensuring that the Pizzeria guests receive the same quality of service offered to lodge guests and diners alike. For more information or to make a booking, please call the Arebbusch Travel Lodge Restaurant on +264-61-252255 and choose option number 4. You can also email restaurant@arebbusch.com or make your booking by means of our online enquiry form. 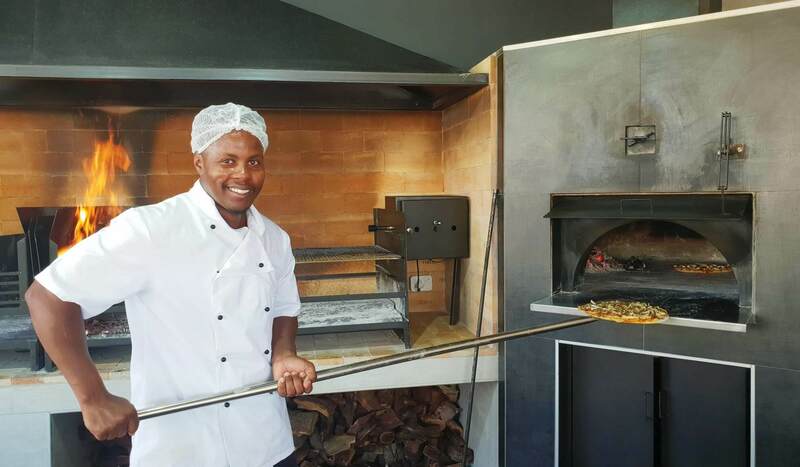 We look forward to welcoming you to our Pizzeria at Arebbusch Travel Lodge. 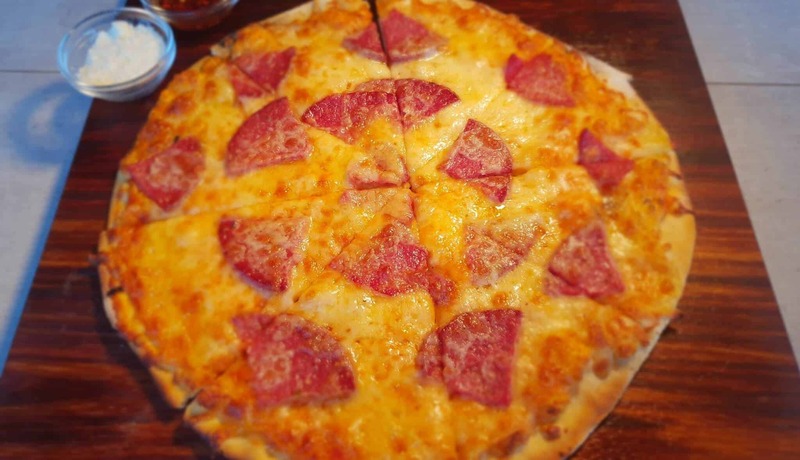 Are you intending to visit the Arebbusch Travel Lodge Pizzeria or maybe you have recently been to the Arebbusch Travel Lodge Pizzeria? If so, we would greatly appreciate it if you provided us with feedback. Click here for more information on how you can provide us with feedback either during or after your visit.